Product prices and availability are accurate as of 2019-04-23 00:41:47 EDT and are subject to change. Any price and availability information displayed on http://www.amazon.com/ at the time of purchase will apply to the purchase of this product. 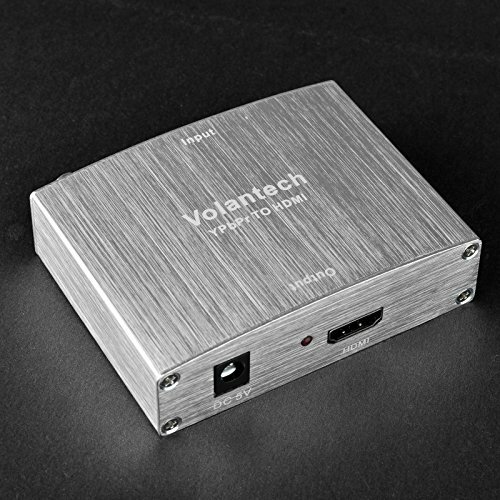 Volantech YPbPr ?INPUT?to HDMI (OUTPUT) Converter, which is designed to convert analog audio from components such as DVD player / game box and convert it to HDMI signal. The goods need the 5V 1A Power supply, when you connect all the devices, the last plug the adapter power(we have provided). Plug and play, no software is needed. 1.Kindly check your input signal is correct. This product is a Component(input) to HDMI(output) Converter, not HDMI(input) to Component(output) Converter, it can not be reverse to use. 2.HDMI cable length for this product doesn't exceed 6.5ft and it can't work with the old TV produced before the year 2010. 3.There is static electricity between our product and TV. We recommend that you gently knock on our products so there is a normal video. 4.Please make sure your signal device has YPbPr 5RCA interface input, not 3RCA interface, so you need to use 5rca cable to connect the device. 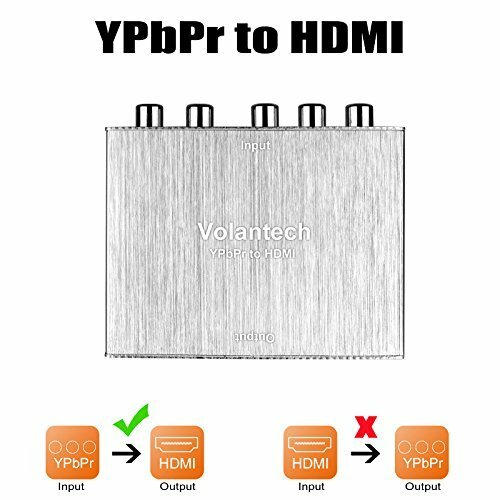 This Ypbpr to 4K HDMI converter into analog YPbPr video and R/L audio signal output, enables you to connect your old DVD players and Sat boxes as well as consoles such as Xbox 360 and Wii to your new HDMI Display. 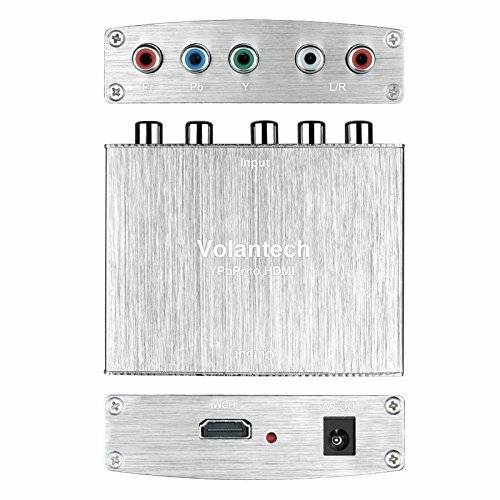 Display component Video sources to your HDMI HDTVs and A/V receivers. Component Video Resolutions supported: 480i/p(60Hz), 576i/p(50Hz), 720p(50/60Hz), 1080i/p(50/60Hz). Supports HDMI Output: 720P/60Hz, 1080P/60Hz. Compliant with HDMI V1.4, it supports HDCP 1.4. It allows older analog devices to be integrated seamlessly into the modern home theater and users to enjoy larger images and videos on the monitors they need. 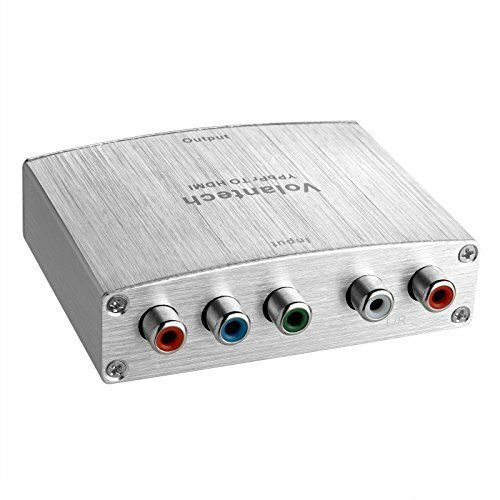 Converts Component and analogue audio signals into a HDMI signal. 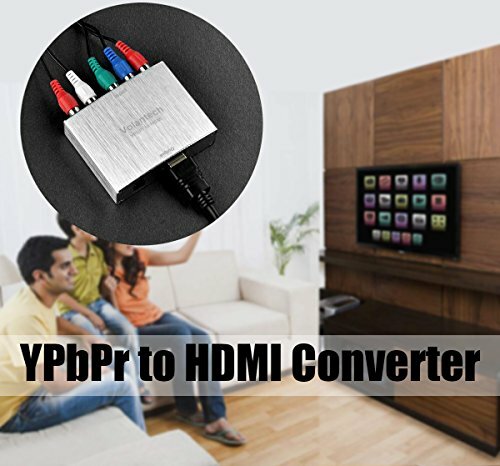 This is a YPbPr Component 5RCA RGB to 4K HDMI Converter . If you use it wrong, you cann't get any signal. Use friendly, Install in seconds, No need of setting, it can not be reverse to use. If you encounter product quality problems, Please first inform us that you will be compensated within 24 hours.